Mike O'Brien of Red Table Press did the signature branding for FSM in 2010 that we still use today. Pictured above: original FSM staff, Hannah McCann and Debbie Lee in Mike's market booth. 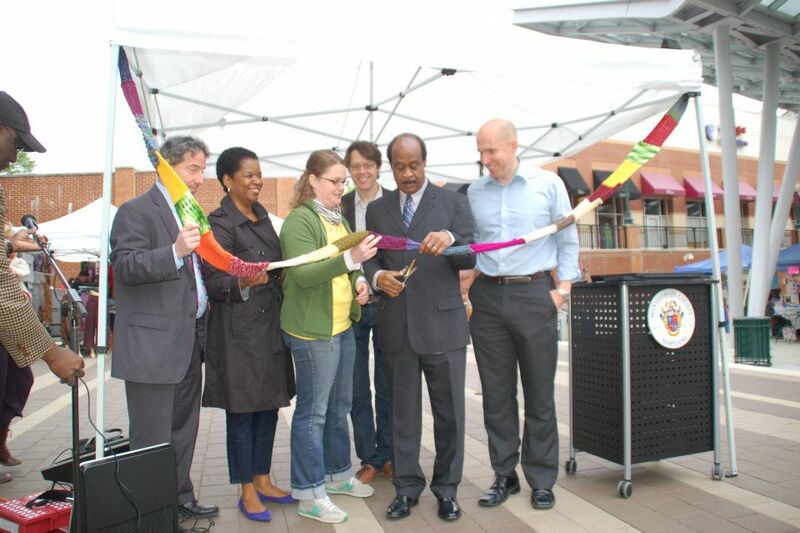 In late 2011 concerns arose about the Market's future in DTSS and an outpouring of support from the community encouraged FSM and Montgomery County to find a solution to save the Market. A contract was awarded to FSM by Montgomery County in March of 2012 to operate on Veteran's Plaza for a minimum of three years. 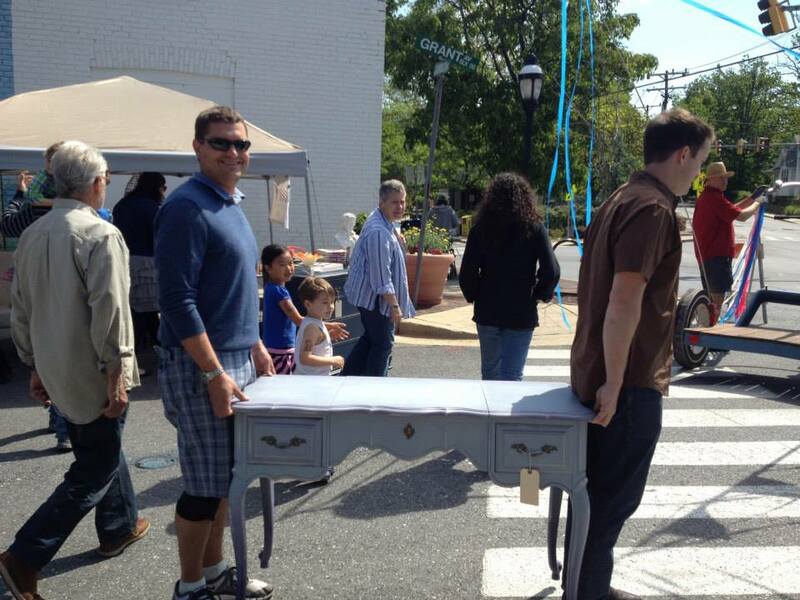 In May of 2013, FSM expanded to Takoma Park with Grant Avenue Market, an originally thrice-yearly vintage, antiques and funky finds market operated in partnership with Old Town Takoma. 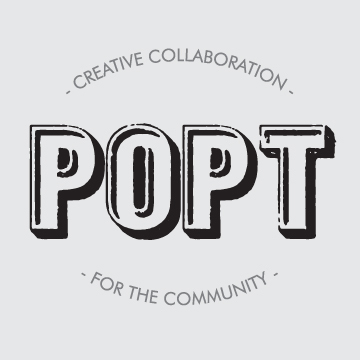 In June of 2013, FSM hosted a Craft for Community themed Etsy Craft Party on Bonifant Street. Vendors and community members made window decorations for the local businesses that call the block home, including Kefa Cafe, Jaha Hair Salon and Silver Spring Books. In April of 2014, FSM ventured into the DC wedding world with an independent bridal show featuring local wedding vendors from the DC area. 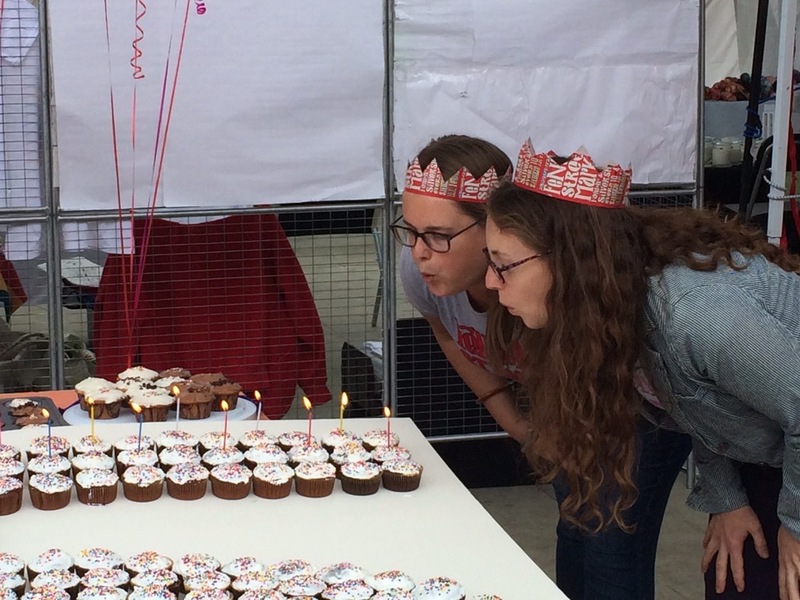 In September of 2014, Fenton Street Market celebrated it's fifth birthday with cupcakes and a party at the market! 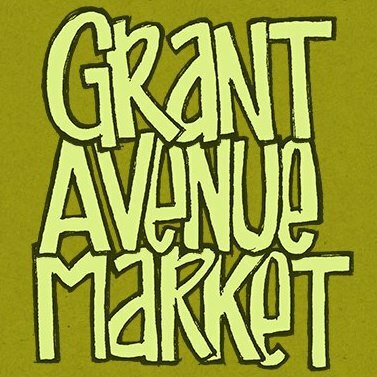 Pictured: then Market Owner Megan Moriarty and Market Founder and previous Owner, Hannah McCann. Previous Market Owner Megan Moriarty received the Economic Momentum Creator Award at Impact Silver Spring's Impact Awards at the Fillmore Silver Spring in May 2015. 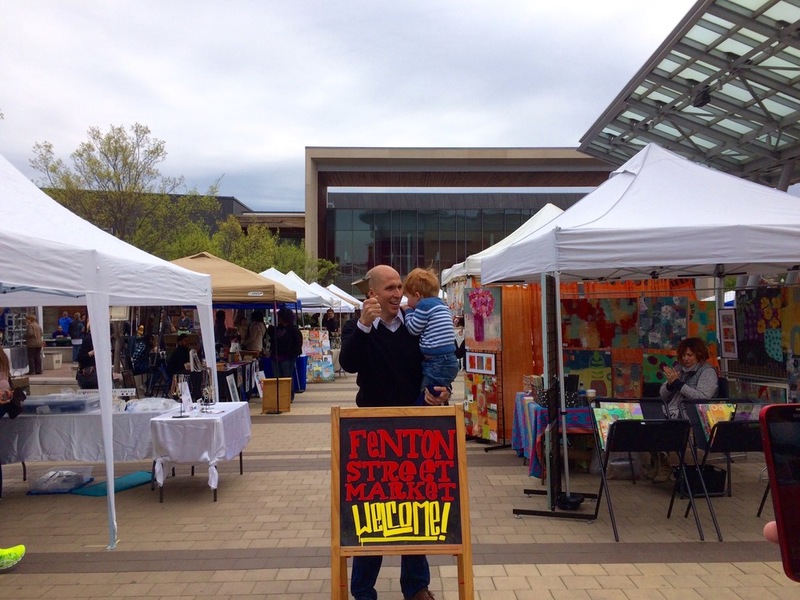 Montgomery County City Councilmember Tom Hucker opened the market on Opening Day of the sixth season in Silver Spring. In March of 2016, FSM entered its third generation of leadership. Previous owner Megan Moriarty (second from left) passes on the booth measuring stick, used throughout the Market's lifespan, to new owners (from left): Mike Mowery, Caroline Joyce, Elizabeth Baer and Daniel Eichner.